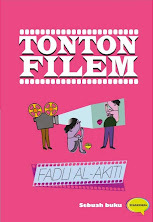 TONTONFILEM: Bunga Dalam Poket Cipta Sejarah! During the IFFR 2008 Awards Ceremony on Friday, February 1, 2008 in Concert and Congress Centre 'de Doelen' in Rotterdam, the winning films of the 37th International Film Festival Rotterdam were announced. 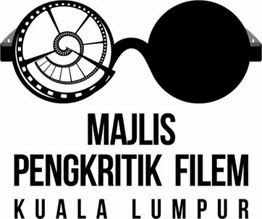 The three VPRO Tiger Awards were granted to the Hubert Bals Fund supported film Wonderful Town by Aditya Assarat (Thailand), to Flower in the Pocket by Liew Seng Tat (Malaysia), and to Go with Peace Jamil (Ma salama Jamil) van Omar Shargawi (Denmark) . On Saturday February 2, 2008 the KPN Audience Award and attendance figures will be announced. VPRO Tiger Awards Fifteen films by first or second filmmakers competed in the VPRO Tiger Awards Competition 2008. The Jury consists of Mr. Royston Tan - Singapore filmmaker and film producer, Russian filmmaker, actress and film producer Ms. Renata Litvinova, Mr. Rieks Hadders - former Deputy Director of the Filmmuseum in Amsterdam (The Netherlands), Ms. Tiziana Finzi, Deputy Director Locarno International Film Festival in Switzerland, and Iranian filmmaker and film producer Mr. Jafar Panahi (jury president). 'Flower in the Pocket by Liew Seng Tat ( Malaysia, 2007) 'because of its well considered and aware look in the world of children. The actors are chosen correctly and guided and directed properly. The film has an excellent visual expression.